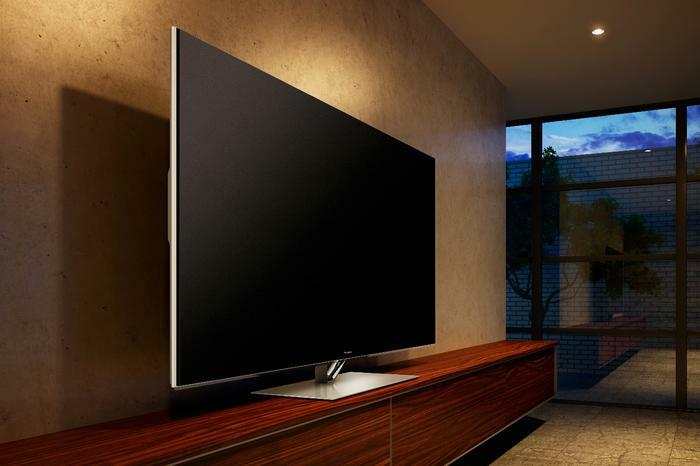 In the brightening light of renewed competition from established Smart TV heavyweights Samsung and LG, Panasonic has unveiled its 2013 range of VIERA LED-LCD and plasma TVs. The range is made up of a total of 25 models: 19 LED-LCD and six plasma. Sizes range from 65-inches to 24-inches, and prices from $429 to $5499. The Panasonic VT60A plasma TV. 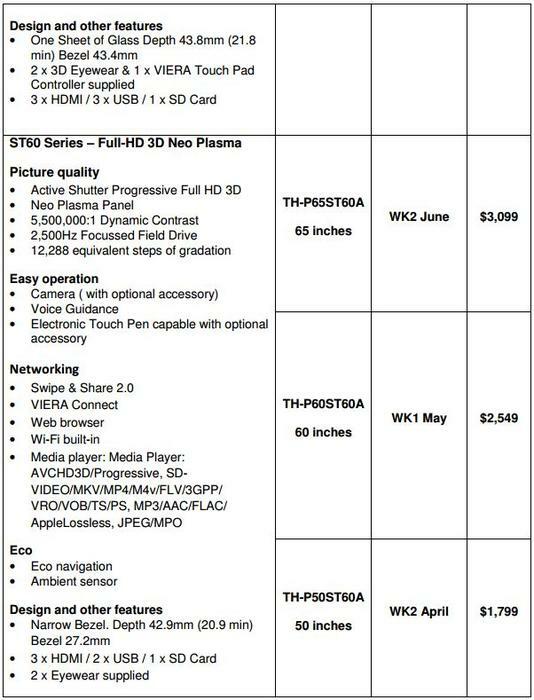 Plasmas are still the go-to models for outright picture quality and size, with 55-, 60- and 60-inch screen sizes available over three ranges — the premium VT60, step-down ST60, and base S60. 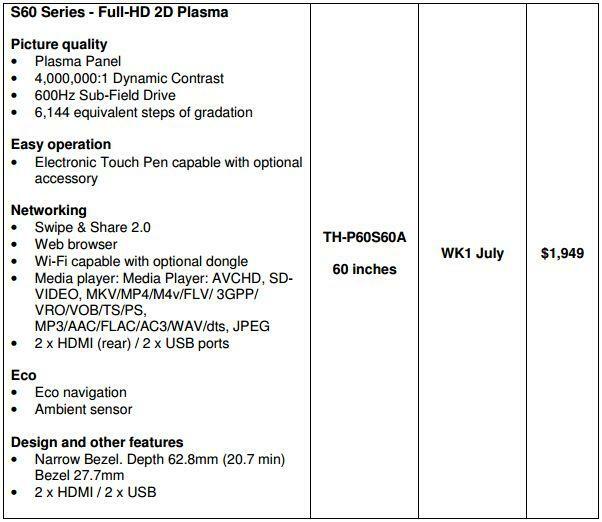 Panasonic didn’t comment publicly on the future of its plasma TVs, but 2013 may well be the last year they are produced — a Nikkei report suggests future technology R&D has stopped, and that panel production will gradually close down over the next year. 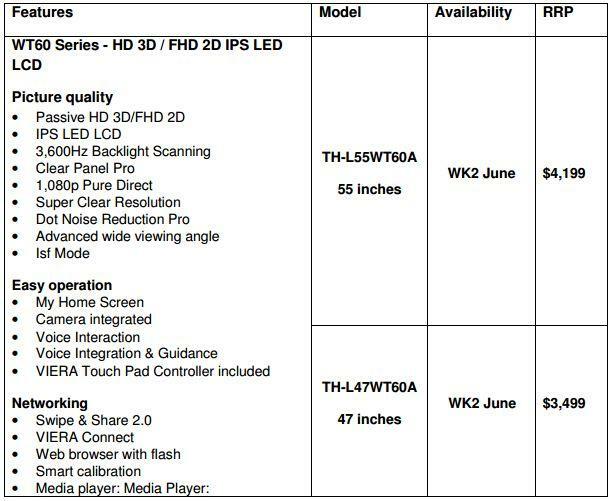 The company’s LED-LCD line-up is much stronger, with 11 out of 19 models using IPS screens for better quality images. 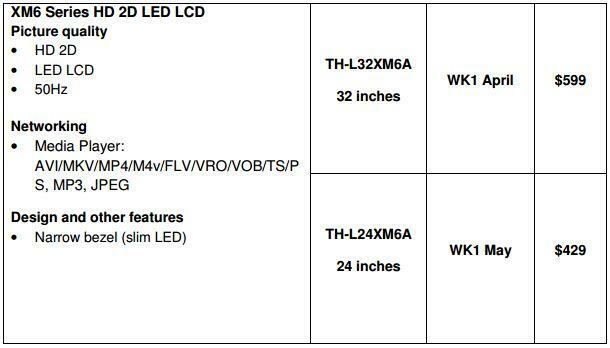 47-, 55- and 60-inch models make for some overlap between Panasonic’s LED and plasma categories, but smaller 42-, 39-, 32- and 24-inch panels are also available. 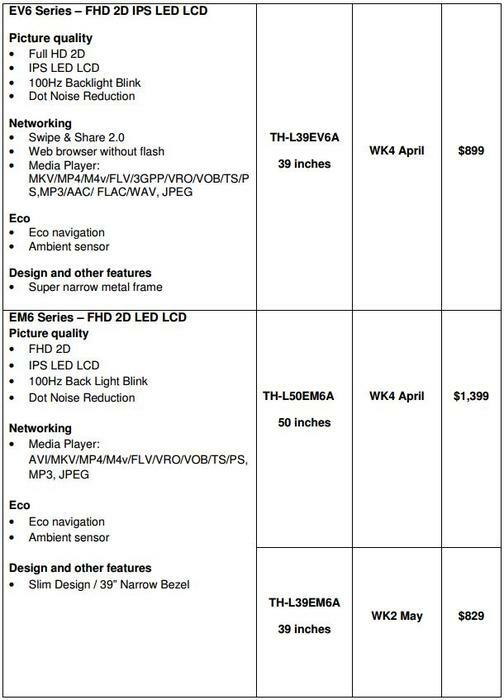 The LED-LCD screens are thinner, lighter and more attractive than last year’s displays. Panasonic’s new Smart TV interface is built around a customisable home screen, where users can place their most-used Web, social media, and streaming video services. The ‘My Home Screen’ menu can be tailored to individual users, too — Panasonic is banking on a household’s different members setting up their own home screen, with voice activation and camera face recognition on premium models tying into individualised interfaces. 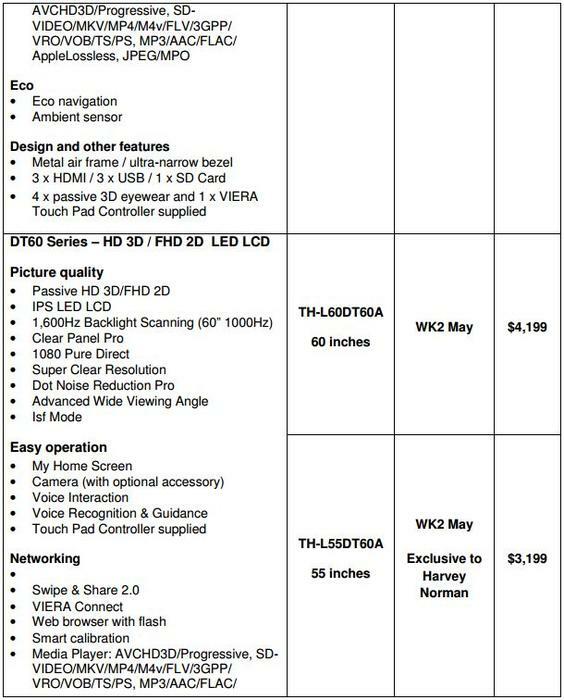 The Panasonic WT60 LED-LCD TV. The idea of individualised Smart TV interfaces is not new — Samsung’s Series 7 and Series 8 LED TVs from 2012 had face recognition to automatically sign users into social media services. Panasonic’s implementation has the advantage of tailoring the entire on-screen setup to an individual user’s tastes, with various layouts prioritising live TV, streaming apps, or quick links to Web pages through the TV’s browser. 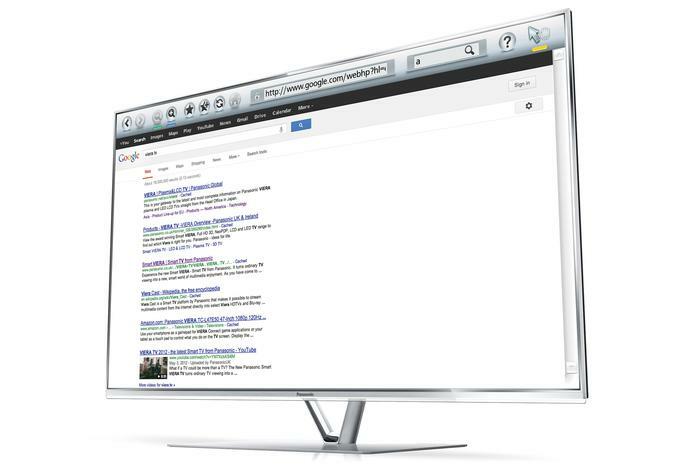 A voice search feature on Panasonic’s premium TVs, which browses the Web as well as cataloguing any media connected over USB, removes the impediment of typing with a remote control or on-screen keyboard. 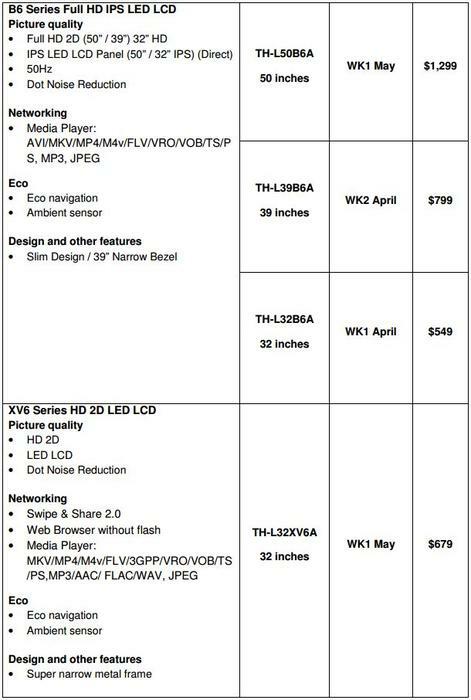 Similarly, Panasonic is pushing closer integration between its televisons and third-party Apple and Android tablets and smartphones; updated apps let buyers control their TVs entirely through their mobile devices’ touchscreens and internal microphones. Even more useful is the company’s Voice Guidance feature, built into the majority of its LED-LCD and plasma TVs, which reads out various TV menu functions and the text of Web pages. Combined with Panasonic TVs’ existing support for audio description, the new range of VIERAs may have a unique appeal to blind or vision-impaired buyers. 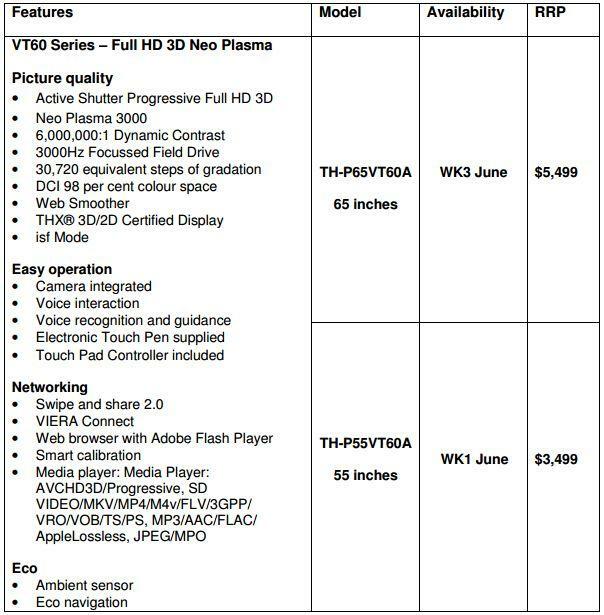 The streamlined interface and speech-to-text-to-speech features comprise the majority of Panasonic’s Smart update; no new streaming partnerships or exclusive apps deals were announced. It is still possible that Panasonic’s TVs will support the no-contract Foxtel Play subscription Internet TV service upon its launch in June, although this is looking less and less likely. 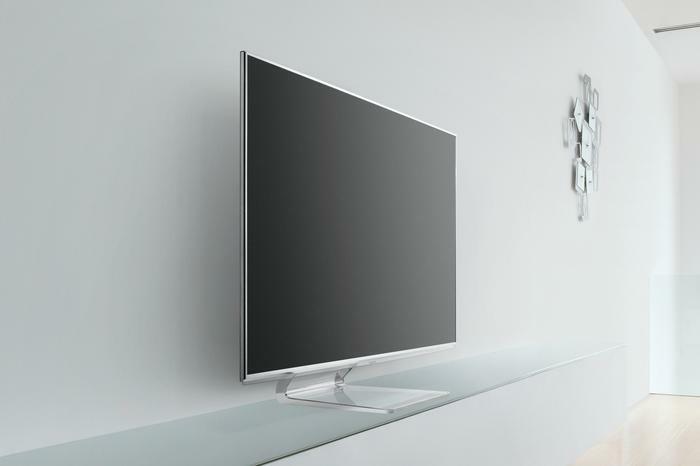 The Panasonic DT60A LED-LCD TV. Panasonic’s app environment, the VIERA Connect Market, is reasonably strong despite being smaller than LG or Samsung or Sony’s; video streaming major players in Quickflix, BigPond Movies on Demand, ABC iView, SBS On Demand are all available. 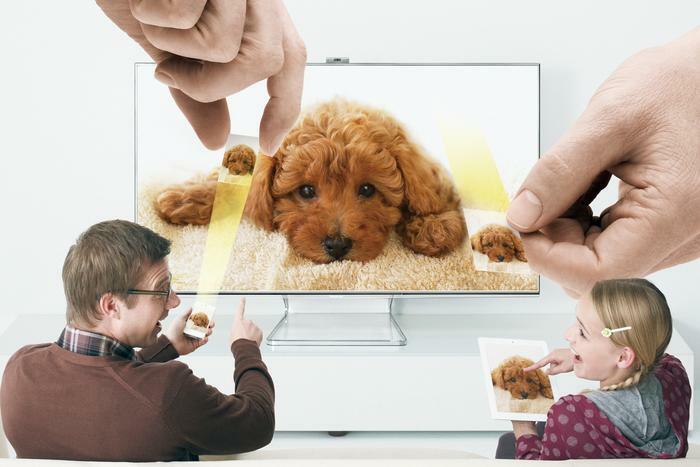 Panasonic has a ‘Swipe and Share’ feature included in its Image App for iOS and Android that lets users display photos, video, and other content from their smartphone or tablet directly on a TV screen with a simple flick. Panasonic’s plasmas have had their annual boost in image quality thanks to the company’s research — this year plasma TV buyers can expect ‘Focused Field Drive’ refresh rates up to 3,000Hz, more steps of gradation for smoother colours and a higher range of brightness, and a wider colour gamut courtesy of red phosphor improvements. 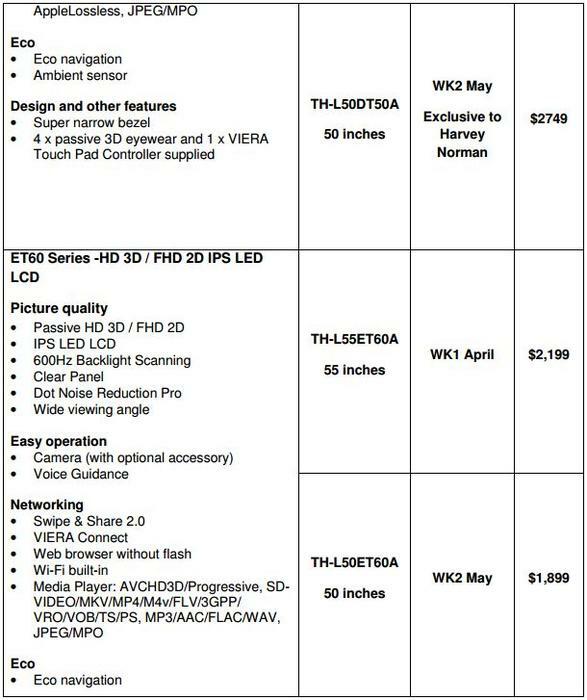 LED-LCD panels benefit from improvements in backlight scanning on premium models, promising to remove flicker through a more complicated lighting setup — the premium WT60 claims a 3,600Hz backlight scanning rate that should approach plasma in terms of moving image clarity. 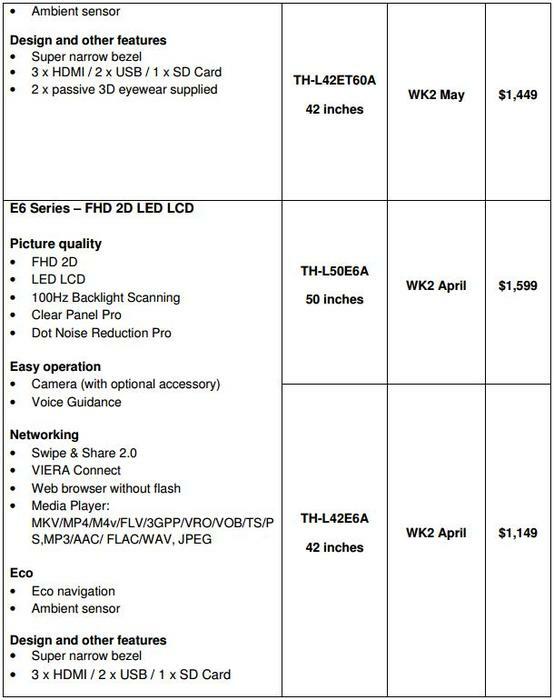 The top WT60 and DT60 series LED TVs have a Super Clear Resolution processor that promises to improve the quality of HD and lower resolution content compared to past models.